Do you feel excited when a friend emails, posts, or calls telling you they just read an article about your company or service in the newspaper? I know it puts a smile on my face. “Daddy, Ms. Simpkins saw you in the paper!” my son yells as he runs into the house from school. Ms. Simpkins, the 1st grade teacher, recognized me from an article that was written about a corporate charity event at which I entertained early in the month. Several weeks later, I’m talking with extended family at a birthday party and somebody says, “Hey, I saw you in the newspaper.” This is no surprise to me. I have been playing John Appleseed for years. The legendary John Appleseed introduced apple trees to large parts of Pennsylvania, Ontario, Ohio, Indiana, and Illinois, as well as the northern counties of present-day. Over time many of the trees grew and flourished. Over the year, I have been planting my own seeds…news releases. News releases have been used by major companies around the world for decades. As long as companies are making “news” they’re going to keep sending them to news media outlets. 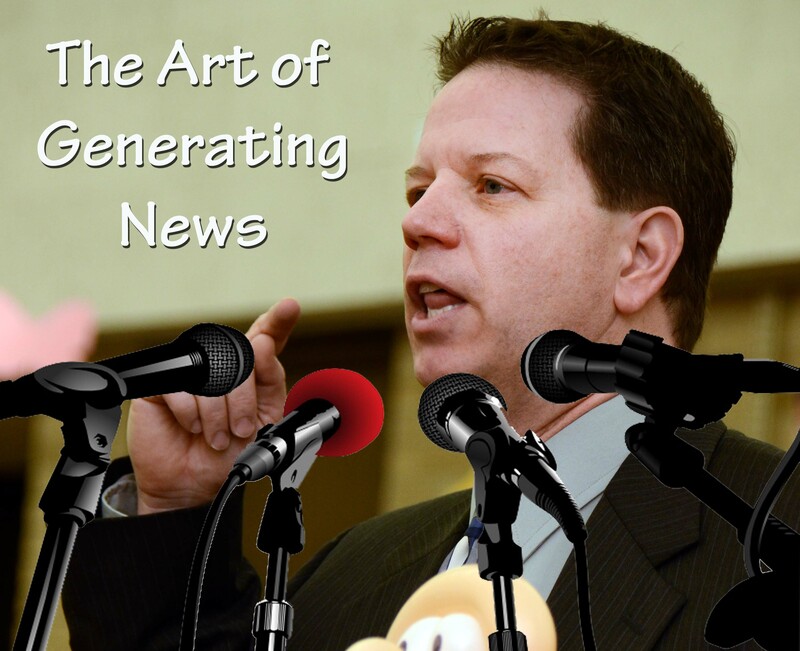 Notice I said news media outlets… a press release can be sent to radio and TV stations, magazines, newspapers, and blogs. We have more outlets now than we had 10 years ago to publicize a company’s success. Every year I send out press releases. Some special seeds make it into the newspaper, while others die before they can even take hold. However, for those that do grow into a story, they generally flourish and generate marketing that I would have typically paid $100’s if not $1,000’s of advertising dollars for. All from a press release that takes about 90 minutes to create. Writing a press release is not difficult; you just need a human interest story built into the press release. In this example, I appealed to the editor’s interest in community, church, and schools. Without this hook it would be just me talking about a balloon show. Interesting to me, but not the editor’s readers. Bottom line…the article does not get published. I have found that I don’t have to wait for an editor to publish my story. News outlets are now allowing you to publish your own news. I could wait, hope, wish, and pray that my article gets published, or I can log into an online news outlet and publish my own news. After I self-publish my news, I use social media to share my story. Months later at a family event I hear…”I saw you in the newspaper.” “Really,” I say with a smile. It’s time for you to start planting your news seeds, for when you do… it will get you the marketing you need to grow your business. If you’re unsure on how to create a press release, then get my e-document on How to Write a Grand Opening Press Release. This e-document will guide you through the process of writing a press release for a special event.